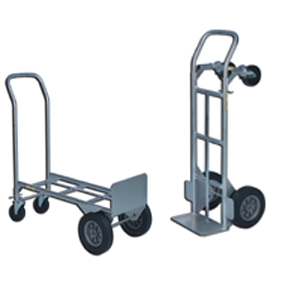 Dual function hand truck converts to platform position for oversize loads. Rugged, welded 1' structural pipe frame with 1/8" wall construction. Product No. Wheel Type Overall Height Color Wt. (lbs.) Price Ea.